Christina Ernst of VIP Southern Tours invited me to join a group of travel writers she was hosting for a tour of the excellent wineries in North Georgia. These award-winning wineries are not very far from the Appalachian Trail. If you travel enough and write about your travels enough and publish your stories enough, someday you will become a "travel writer." At least, that's what happened to me. I could teach a stray cat to make a better Creme brulee. The only wine that could possibly be worse than what I was served would be listening to an endless loop of Taylor Swift singing about John Mayer. The tasteless food was cold and expensive. The portion, mercifully, was barely enough to sate the hunger of the abundant flies in the filthy dining room. If I were to tell you about the uniquely insolent staff, I would first have to make arrangements to enter the Witness Protection Program. Thankfully, this trip was flawless from start to finish. That's how Christina rolls in her luxury tour buses. Each stop gave us time to enjoy some of the jewels in Georgia's crown. Touring North Georgia wineries sounded sensational, although I initially thought I would decline. I don't drink. Not that I haven't had more than my share over the years. I simply choose not to drink. Yes, I am a Christian, but plenty of folks far more godly than I will ever be enjoy a glass of wine. I simply choose not to drink. End of story. Years ago, I visited several of the now renowned wineries in the Napa and Sonoma Valleys in Northern California. The scenery and elegant tours were exquisite, memorable and pleasant. More recently, I toured a winery near my home in Gainesville, Georgia. I went with a friend who wanted to taste the wine, but I wasn't interested in that part of the presentation. After I declined the tour guide's kind offer to taste the wine, he ignorantly chided me for not imbibing instead of respecting my decision. After a few eye rolls and unpleasant subtleties, I elected to report the gentleman to his employers who profusely apologized for their overly zealous guide. With that experience in mind, I chose to have an open and honest chat with Christina before I made my final decision. She wisely said non-drinkers are welcome on her North Georgia wine tours. In fact, it is common to have them enjoy the fun without being accosted for not choosing to sample the many varieties of wine made in and around Helen, GA. That sounded fair enough, so I happily agreed to go along. If you are a recovering alcoholic or you are prone to issues with alcohol, don't go. Simple as that. No need to foolishly put yourself in a position to be self-destructive. Should you want to tour these wineries, I have two sincere suggestions that I am not paid to offer nor am I obligated to make. First, stay at Lucille's Mountain Top Inn & Spa. Lucille's is literally one of the most luxurious bed & breakfast inns in all of America. Nowhere else in our region will you find such a wonder-full place to rest and relax. VIP Southern Tours is an equally class-act, in my humble opinion. I suggest that you take their wine tour. Christina knows where to go, how to get there, what to do and how to do it. Don't quote me but, if I understand correctly, the cost is just about $100 per person for a day of escorted visits and wine tastings at places that roll out the carpet for Christina and her guests. The Habersham Winery was our first stop and one of my favorites. They took the time to walk us through the many interesting steps from having grapes delivered to removing the stems to storing and aging the wines they produce. Not a drinker? Habersham Winery has a delightful gift shop with wine-related and regional wares, such as local crafts and tasty treats. We brought lunch with us to Cottage Vineyard & Winery, north of Cleveland on Route 129. The knowledgeable young man who gave the presentation was outstanding. His witty blend of historical information, grape facts and insights into what is required to create wine was entertaining and interesting. The one-man show at Cottage Vineyard & Winery was delightful -- even while as sober as your grandmother. By the time we hit this vineyard, I was high on cheese and crackers, and the great outdoors. During the tastings, I lounged on the patio and marveled in the beauty of the landscape ... freely and without even a hint of feeling uncomfortable. Take a moment and imagine a master European vintner ... a wine connoisseur or sommelier ... an artist who blends grapes and passion into rare wine at a world-famous vineyard. He has a pencil-thin mustache, wears a goofy beanie or beret and speaks with a snooty French accent, right? One of the most profoundly respected master vintners in North Georgia looks a lot like me. Sad, but true. Meet Joe Smith, the proprietor of Serenity Cellars. Meeting Joe in person was like running into the guy from the Men's Wearhouse in cut-off jeans and a T-shirt with a ketchup stain. Fancy clothes and tassel loafers don't make great wine. Joe does. At virtually every winery we toured, this gentleman's name was spoken in reverence, affection and with gratitude for his ingenious guidance and extraordinary knowledge of the art of making wine. Joe Smith's contribution to the wine culture in North Georgia is epic, not only because they offer free music outside and a remarkable bust of Elvis. Joe doesn't need a beret, a mustache or a French accent. His award-winning wines speak loudly enough. Or, just ask anybody in the region about Joe's value to the wine-producing community in North Georgia. The snazziest winery in the area has to be Yonah Mountain Vineyard. No Elvis busts or lounge chairs on a scenic patio to decorate the setting. No funny plaques, such as I enjoyed at the Habersham Winery's gift shop. No cozy tasting room overlooking a farm setting, such as at Sautee Nacoochee Vineyards, another local wine grower. Yonah Mountain Vineyard is a knockout. Take the tour and you will find yourself quietly mumbling the winery's mantra: "No expense was spared ... no expense was spared ... no expense was spared." That truth is so evident and obvious that we all knew it before we were told. Yonah Mountain Vineyard rivals almost anything I toured in Napa Valley. Spectacular, opulent, magnificent, exquisite and refined are the words I would use to describe this palatial wine palace that will some day personify North Georgia's famous vineyards. 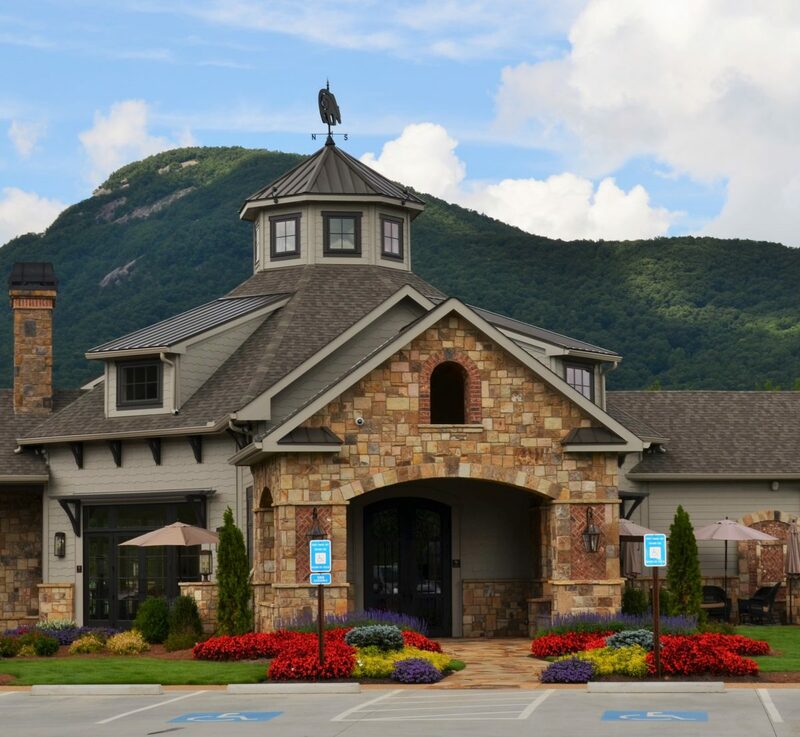 Add Yonah Mountain Vineyard to your list of must-see vineyards in North Georgia. Having a willing "designated driver" is great. But, not everyone who chooses not to drink wants to drive around those who choose to taste the many types of wine grown, fermented, aged and served around Helen. Those who drink and drive are irresponsible and deserve to be pulled over. So, do everyone a favor. If you want to spend a day in the glorious foothills of the Blue Ridge Mountains visiting wineries that will one day be esteemed, do it right. Call VIP Southern Tours. If you're not a drinker, you can still have fun in lots of ways, especially when listening to how folks describe the various vintages before them. If you hear someone describe a particular bottle by saying, ""It's a bold wine with a hint of sophistication and lacking in pretension," smile and say, "Hey! That's a line from the movie French Kiss!" Have fun touring North Georgia wineries ... whether you sample the wine or simply enjoy a day with friends.